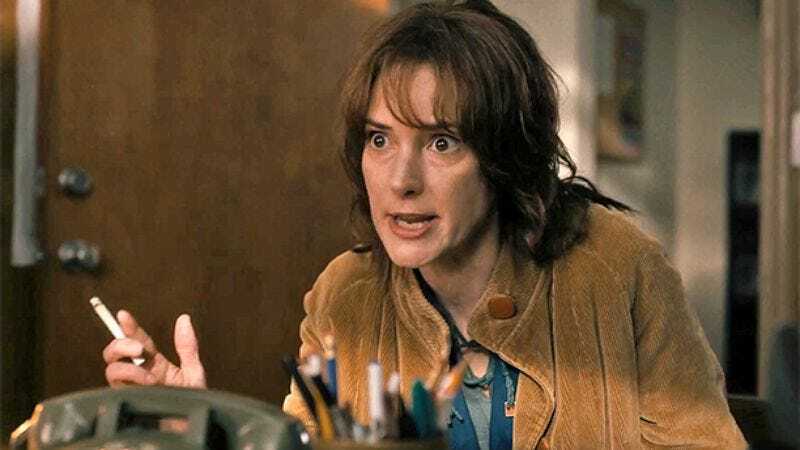 With season two of Stranger Things now underway, it’s time for the Duffer brothers to start assembling the requisite corduroys, velour rugbies, shag carpets, Atari cartridges, and friendship pins needed to capture the strong flavor of the mid-1980s. In addition, producers and casting directors will need to find some more people to inhabit Hawkins. Innocuously sitting over at Backstage is a casting call that sheds very little on the character directions for season two, except for hairstyles. Specifically, a casting notice for extras is looking for actors, 17 and older, with longer hair who are “[1980s]-looking.” How 1980s-looking? Women must be comfortable with having to “cut their bangs.” So if actors thought they were going to skate by on bananas clips and Max Headroom T-shirts, they are in for a rude awakening. The casting call does not mention filming dates, but is looking for talent local to the Atlanta shooting locations. Stranger Things is expected to return to Netflix in 2017.